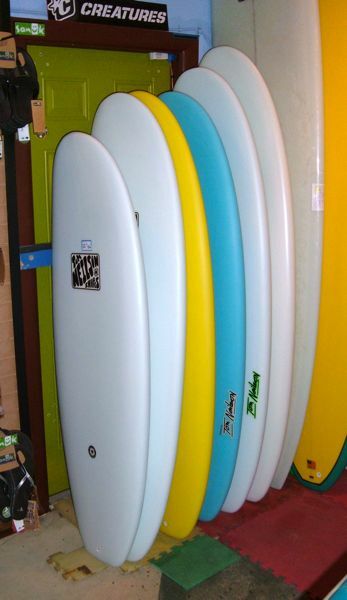 Lots of good boards at the shop in Cocoa Beach and also dropped off a nice batch of boards to Blueline Surf Shop in Jupiter, FL. So either swing by the Neilson Surf Shop in Cocoa Beach or if you’re further south, check out Blueline! The Krazy Bat Fish is just pure performance fun! 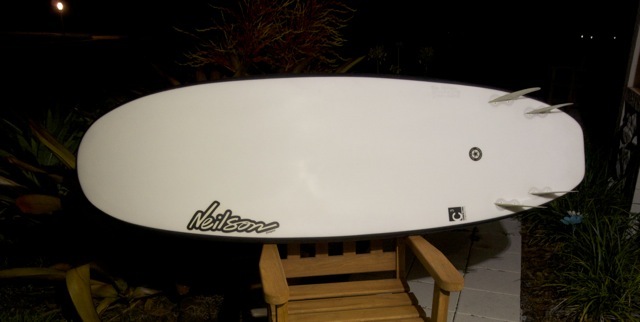 This board differs from the Flying Floatey Fish primarily in that it is just a looser more top to bottom carving type of board. Still very fast, as it is a fish and has a wider tail. It has nice drive through the middle of the board, but due to thinner rails, more pointy nose and good outline curve in the tail section it is just going to be a looser board. 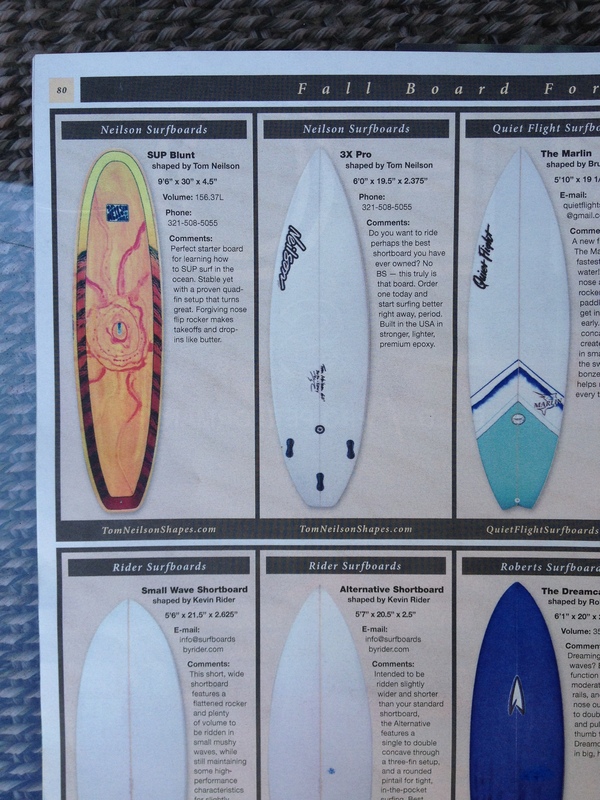 If you can, run down to your favorite local surf shop and grab a September copy of Eastern Surf Magazine, and check out Page 80 for the Neilson surfboard models in the Fall Board Forum! Featured are the SUP Blunt and the 3X Pro. 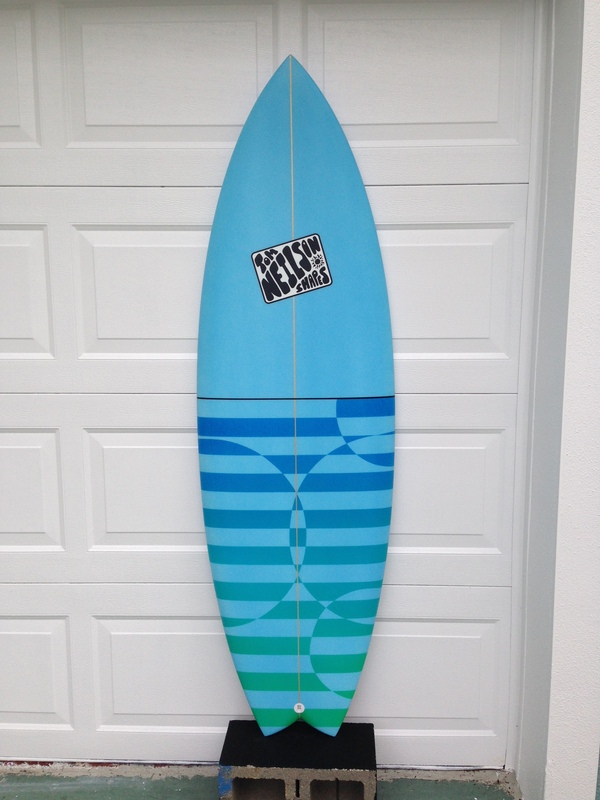 A starter SUP and a high performance shortboard. 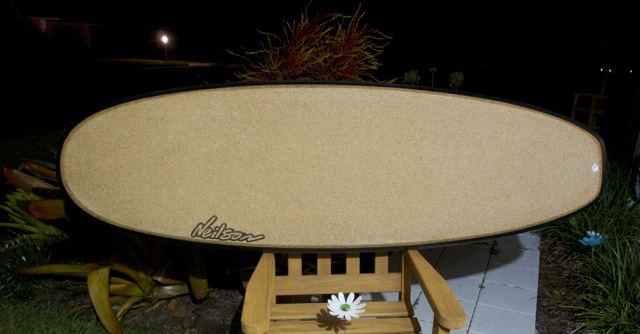 A custom stringerless EPS, cork/carbon Blunt with quad fin FCS set-up. The deck is exposed cork, so no wax is needed! We have BLUNTS in stock ! stop by and pick one up. your surfing will thank you….and so will we !